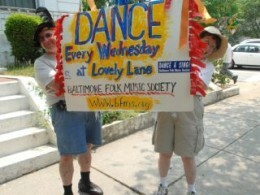 The Baltimore Folk Music Society is a nonprofit, educational organization dedicated to preserving and promoting folk music, dance, and tradition. 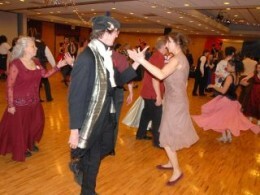 BFMS sponsors regular dances, concerts, family events, and related activities year-round. Members are eligible for discounts to Society events by showing their membership card. 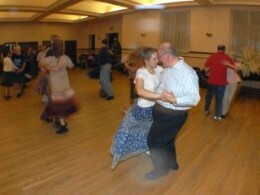 BFMS is a member of the Country Dance & Song Society and shares reciprocity arrangements with the Folklore Society of Greater Washington, and the Annapolis Traditional Dance Society. 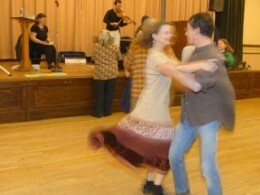 Check out this great video of Contra dance at Lovely Lane on the Wednesday Night Dance page. 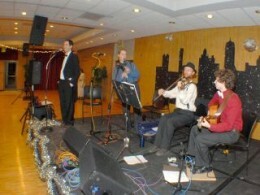 Visit the BFMS Folk Events page for a list of some of the other folk events in the area. Recently moved or changed your email address? Wondering why you aren't getting anything from BFMS? Please contact BFMS Membership (membership @ bfms.org) and update your contact information. If you have recently joined BFMS or renewed your membership and did not get anything in the mail (such as a membership Card) please contact the Membership Chair at membership @ bfms.org. Thank you. By E-mail - use our Contact page. 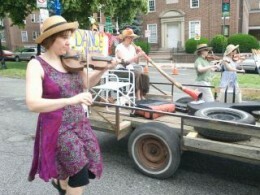 Baltimore Folk Music Society, P.O. Box 7134 Waverly Station, Baltimore, MD 21218-0134.
or email president at bfms.org. Membership expired? Renew on-line! 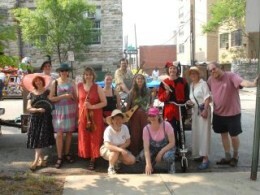 See the Membership page for details.